A while ago I went to London to see a double bill of poetry, song and theatre about the famous “Idle Women” of the wartime waterways. Heather Wastie performed her fantastic Idle Women and Judies, and Kate Saffin her one-woman play Isobel’s War. Both were fantastic, really bringing to life the stories of these incredible women who learned to handle working pairs of narrowboats and barges on the Grand Union and the Leeds and Liverpool Canals. But the most exciting moment for me came when Heather performed a new song she’d written, inspired by our very own Willow! She’d read my blog post where I wrote about the report by Molly Traill on the test run from Ellesmere Port to Birmingham with Willow and Ash, and used it as inspiration for her song! You can read part of the song on Heather’s blog, which also contains the details of their upcoming tour of the Midlands, where you can hear the song(and join in yourself). Highly recommended! C&RT has recently digitised many of its photographic archives, and amongst the collection I’ve found several interesting images. None that could be positively identified as Willow, I don’t think, but certainly a fair few photos of boats which are definitely Charles Hill “trees”. 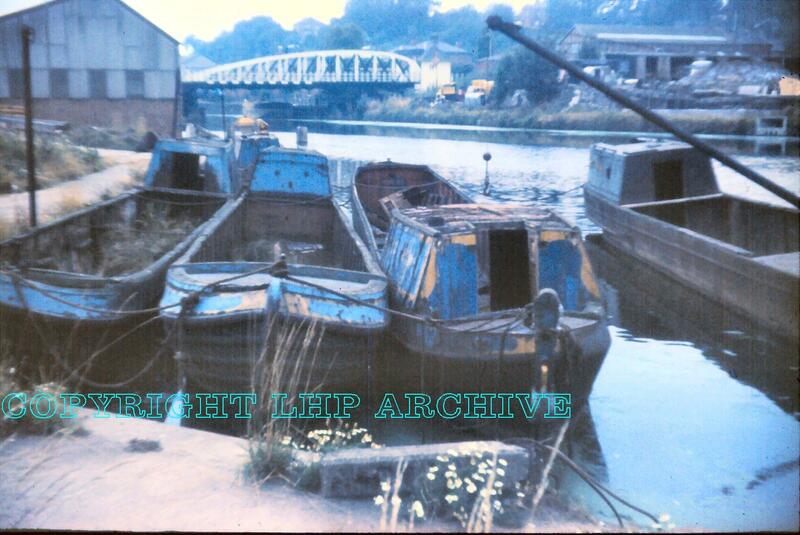 The first one I found was the above photo of an “unidentified British Waterways motorboat” taken in the 60s or 70s (it is undated). It looks tantalisingly similar to the photos we have of Willow when it was abandoned at Hayhurst Yard, but we can’t be sure if it’s the same boat, only that it’s definitely a “tree”. It doesn’t have the crane seen in the Hayhurst photos, but perhaps that was a later addition? 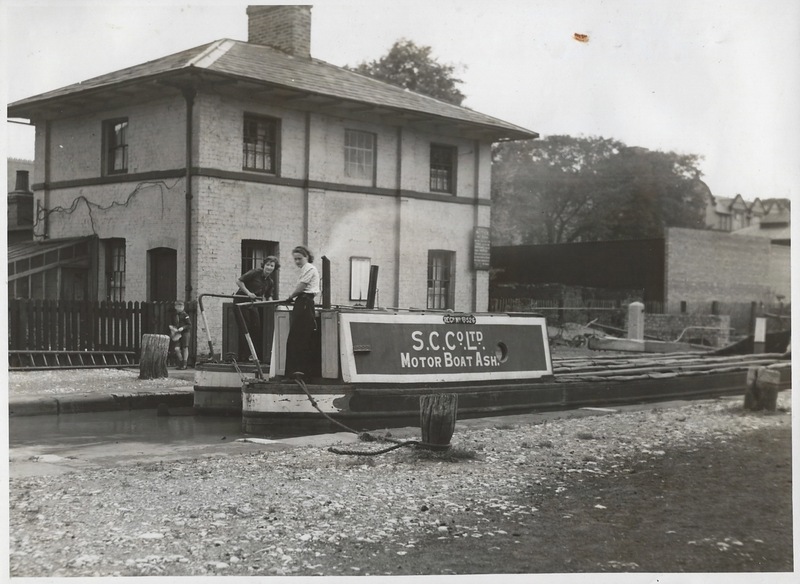 There is a lovely early promotional vignette of Ash, possibly outside the Severn and Canal Carrying Co warehouses in Birmingham, captioned “Very latest type of 30 ton all welded canal boat fitted with Petter 10hp engine”. I’m intruiged as to why the steerer is using a shaft, although it looks like the boat is reversing so perhaps he’s using it to keep the stern end pointing in the correct direction. This photo of Gloucester Docks, sometime in the late 30s, shows Severn & Canal Carrying narrowboats including Motorboat No7 and the horseboat Hadzor moored outside the Severn & Canal Carrying warehouse. Two of the boats (on the far side and on the outside of the four breasted up in the foreground) are definitely “trees” so there’s a 25% chance one of them is Willow! However, by far my favourite photo is this one taken in October 1957, showing Oak travelling along the Trent and Mersey canal near Colwich, during its days when, like Willow, it was part of the BW North West maintenance fleet. It’s such a beautiful, evocative image, and I’ve asked C&RT if I can have access to a higher quality version so I can frame it. 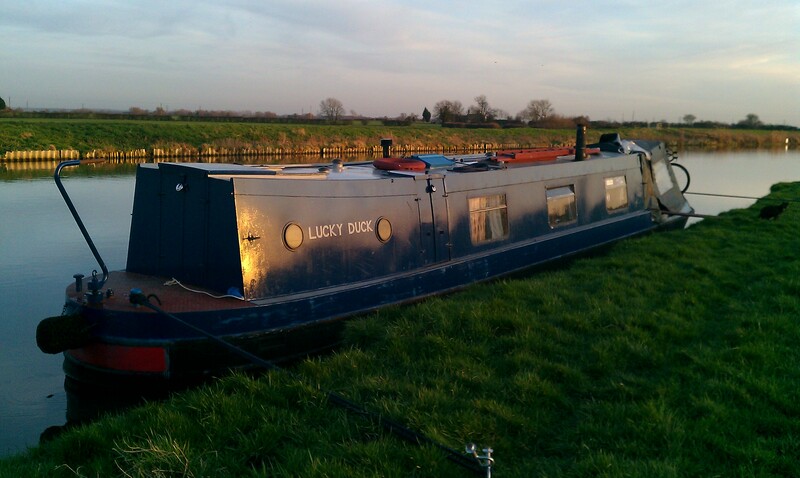 Our old boat, Lucky Duck was always something of a mystery. The builder was listed as Unknown in all the documentation we had for the boat, and we didn’t know anything about the history of the boat prior to 2004 when it was bought in a neglected state by John, from whom we bought it in 2008. Various respected and knowledgeable people of the boating world had looked at it and scratched their heads. But now the mystery is solved! Last week, I was contacted by Esther W, who had done a bit of detective work, searching for Elaine or Marie Louise, the boat which her father rebuilt in the 1980s, and which she had many happy memories of boating on throughout her childhood. 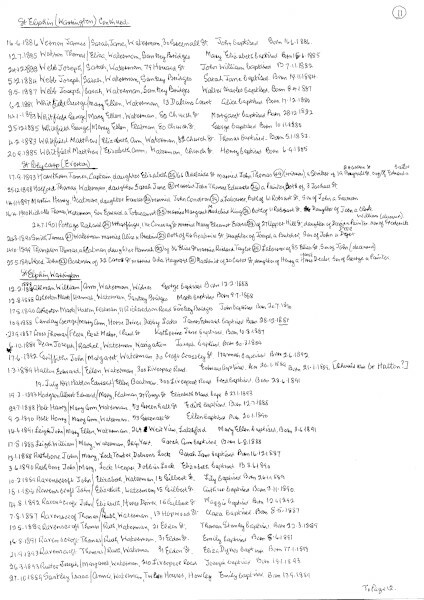 A magnifying glass had revealed the BW index number on an old photo, and from there she’d been able to look up the most recent name of the boat. This led her to coming across our old blog, and to getting in touch with us to see if we knew its current location. As it’s moored two boats down from us on the Common we were able to meet them there last week (the current owners were both at work). 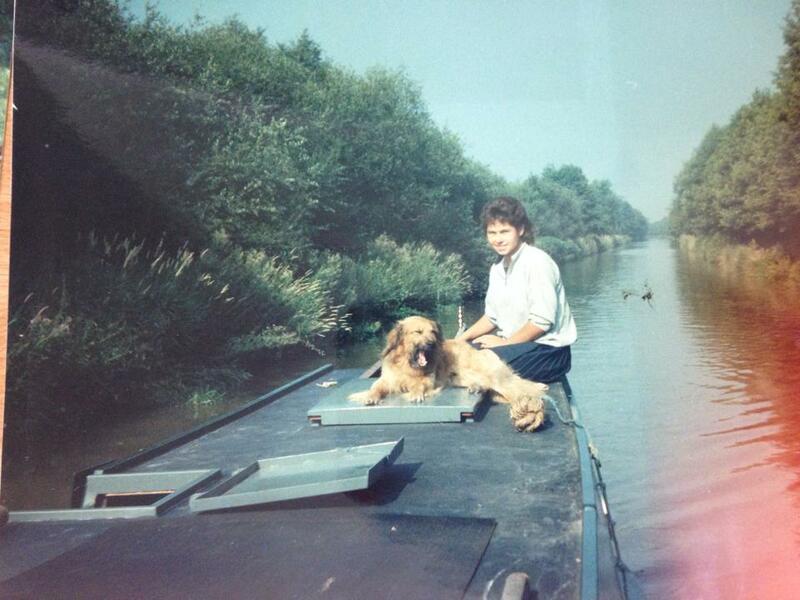 She has now sent me some photos from the 80s and asked her dad for more information about the boat and its history, which they are happy for me to reproduce here, to tell the Duck’s story. 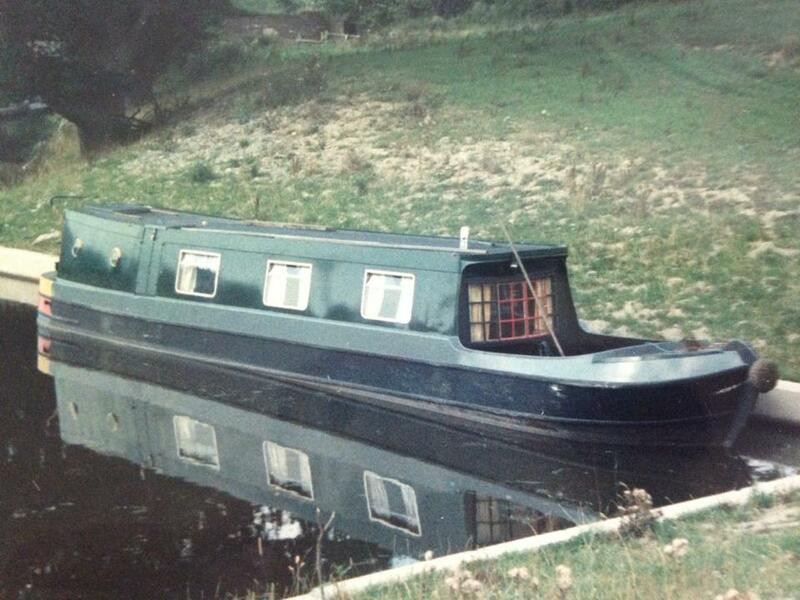 Elaine was built in 1980 at Brierley Hill, on the Dudley No.1 canal (possibly by Delph Marine). She was originally 30ft long, with a cruiser stern. Then, in 1984, Esther’s father Anthony bought her as a family holiday boat. He was an engineer who worked for a boat builder’s himself, and he wanted something a little more traditional, so he embarked upon a major remodeling of the boat. First, he replaced the foreend, giving it wide rubbing strakes (we’ve never seen a fore end quite like it), to deflect the boat if it should hit anything. 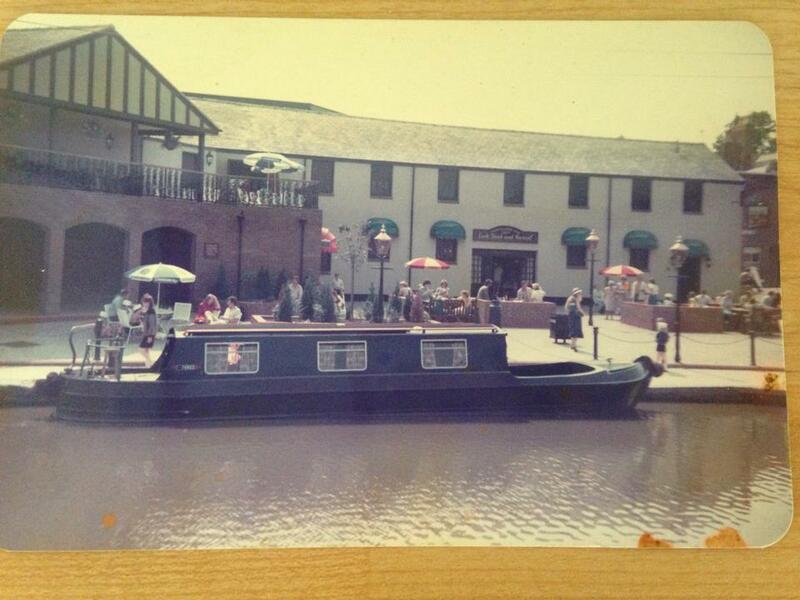 This photo, taken in Chester, shows the boat part way through the transformation, with the original stern but a new bow. Their family kept it at Calf Heath and owned it until 1990 when it was sold on, and they lost track of it. 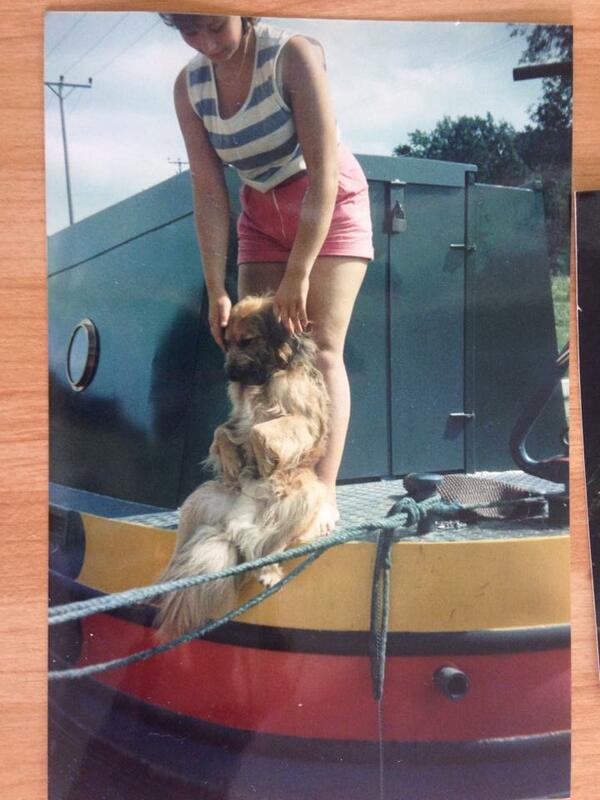 We are indebted to Esther for getting in touch and sharing the story of her family and the boat we know as Lucky Duck. It certainly is a one off -a very different and special boat, and it continues to bring joy (and adventure) to people thirty four years on. We had a brilliant five years living on it despite all our misadventures, and we’re happy that it’s still in Cambridge being lived on, and having been given a new lease of life by the new owners. As it’s such a distinctive boat, I wonder if we’ll bale able to piece together what happened to it between 1990 and 2004? 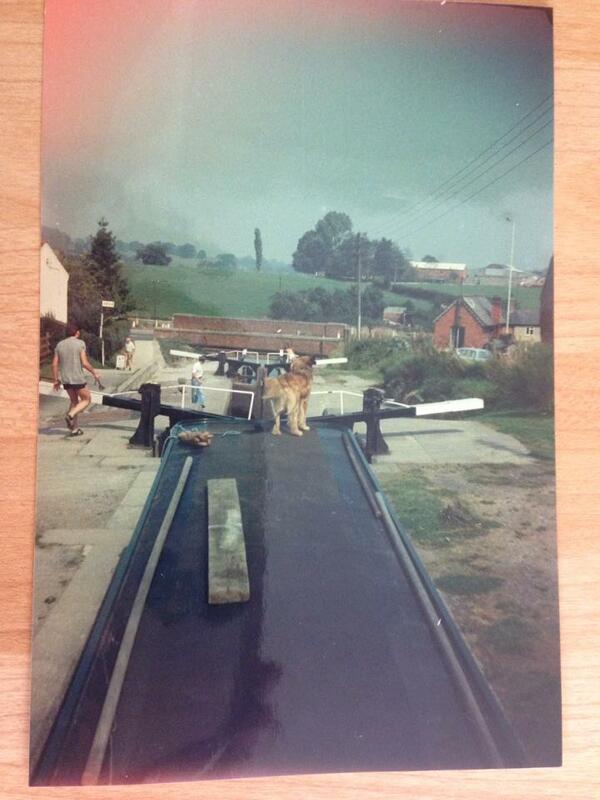 Willow‘s previous owner very kindly send us this lovely photo at the top lock of the Crow, where the Tat Bank branch (on the right) joins the Titford Canal, in 1990. He says that getting back down again was more difficult, but it’s great to know that Willow can get to the top! It’s wonderful to see pictures of Willow‘s past travels, and it inspires us to get out and go places ourselves. We hope to get in a bit of boating over the Easter holidays, although our plans are not sorted yet, a dash up to the BCN is not without the bounds of possibility. It depends on many factors, including many outside our control – the weather and the resulting levels on the River Nene being the main one! But even if it’s only Bedford and back, we will go boating soon! We’ve been stuck in the same place for too long now and we’re longing to get some new waters under the hull! 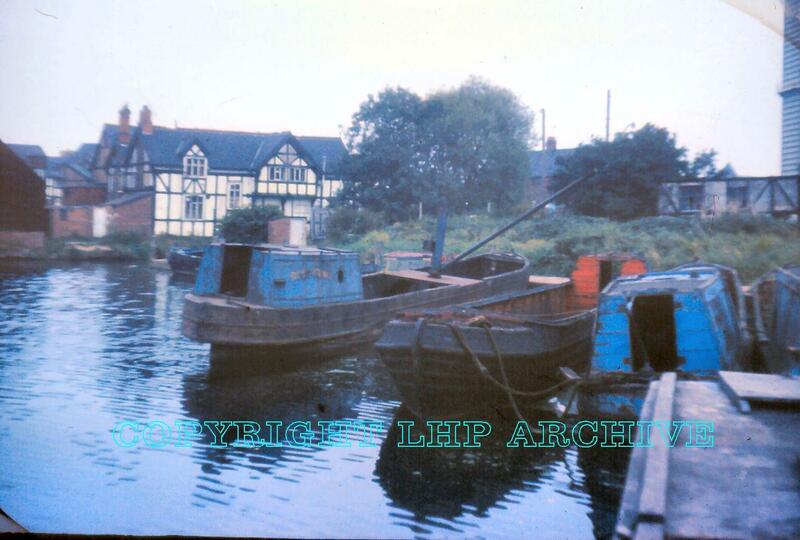 Discussion on the Canal World forum has brought another photo of Willow to light, taken in August 1972, at roughly the same time as the ones we already have of the boat at Hayhurst. This one however shows the cabin as it was then in a little more detail, and the name written on the side. 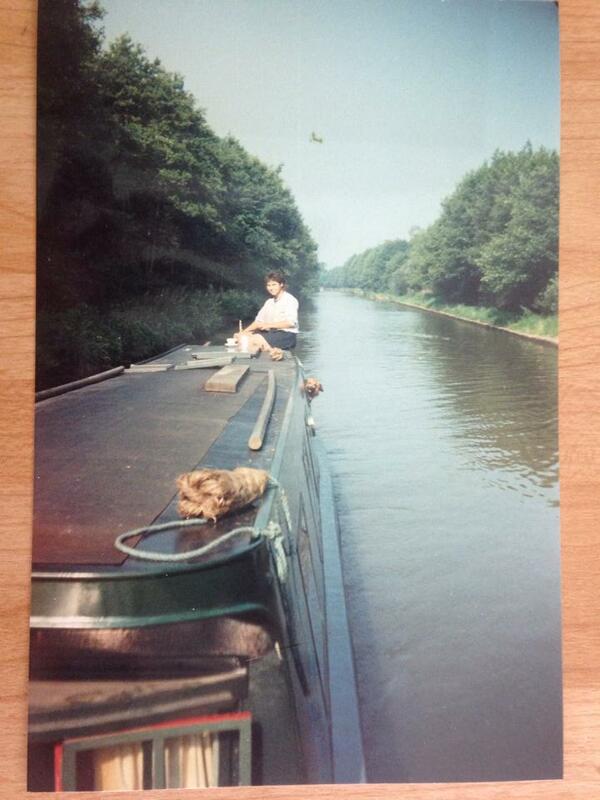 It’s nice to get confirmation that the Severner in the other photos is Willow, or at least a boat named as such! Left to right, the boats are Willow, Holland and President. Oh yes, and I was just asked on Twitter what happened to them. 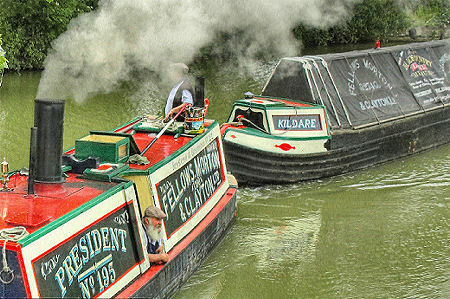 Well, most boaters have heard of the steamer President which lives at the Black Country Living Museum when not out and about at rallies. Once , it visited Cambridge, before we were even boat owners! but Holland, having spent time as a latterly rather down at heel trip boat is now restored and looking wonderful too. 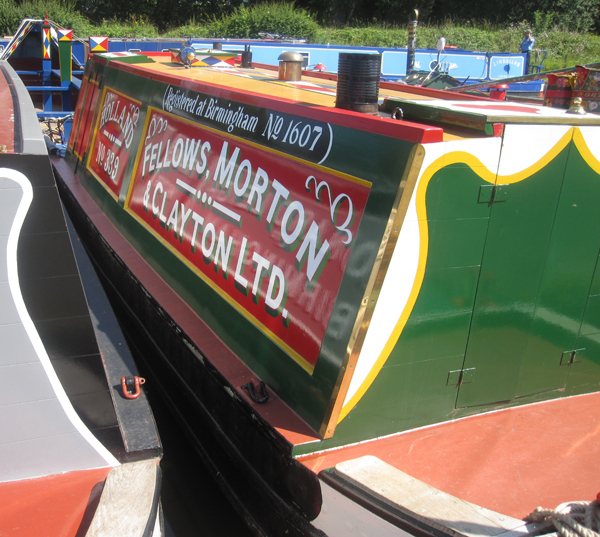 I wrote before that we didn’t think that Willow had been one of the boats which had been trialled with FMC in the north. But I was wrong. There were gaps in the Health Inspection records, which I put down to it being in wartime and such things being lower priority. However, it turns out that during the war, Willow had some very interesting adventures up north, as part of a trial arrangement with Fellows Morton & Clayton (not, as we said before, a loan). Yesterday we were sent this photo by Mike Constable, which he had taken (with permission) of a photo in the scrapbooks of a woman called Molly Traill. It was marked as having been taken in 1943, so it’s the oldest photo of our boat we’ve found yet! 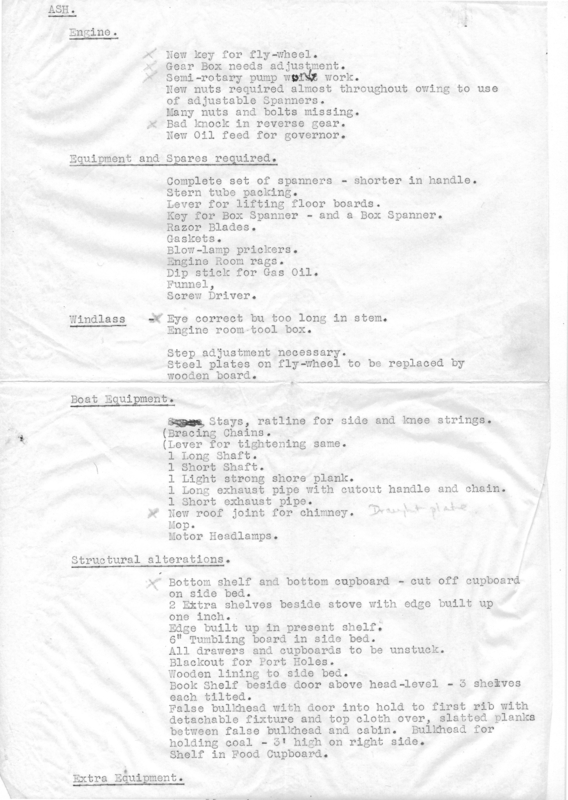 Molly pushed for the wartime scheme to train women to work narrow boats, carrying essential cargo whilst the men were away fighting. She and Eily “Kit” Gayford trained the new recruits, who were nicknamed the “Idle Women” after the I.W. (Inland Waterways) armbands they wore. 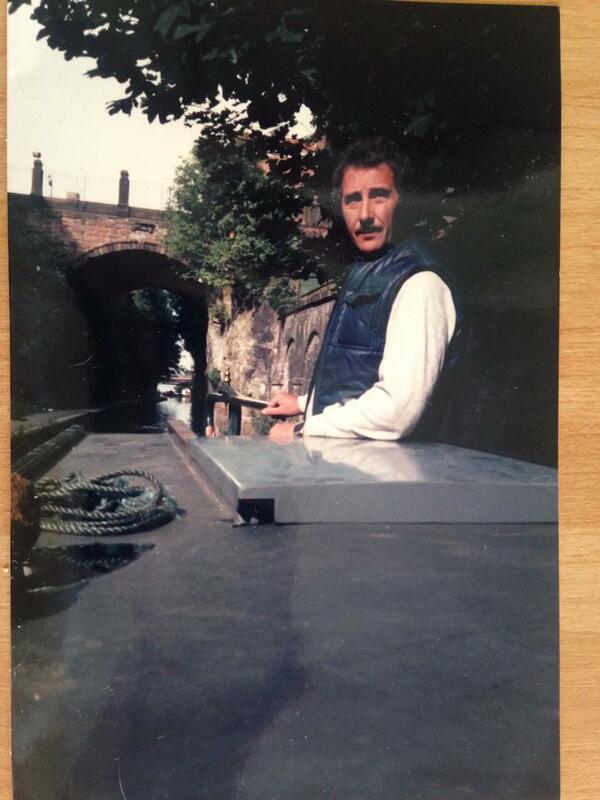 The trainees mainly worked on the Grand Union canal but later on the scheme was extended to northern canals, and this photo was taken on the Shropshire Union Canal near Chester. The two boats are Ash and Willow, on a trial arrangement with FMC to borrow pairs of “Tree Class” Severners to be worked by the women as double motor pairs, a curiosity in itself (although these Severner motors were known to work in pairs, as S&CCCo had in 1942 disposed of many of their wooden butties). 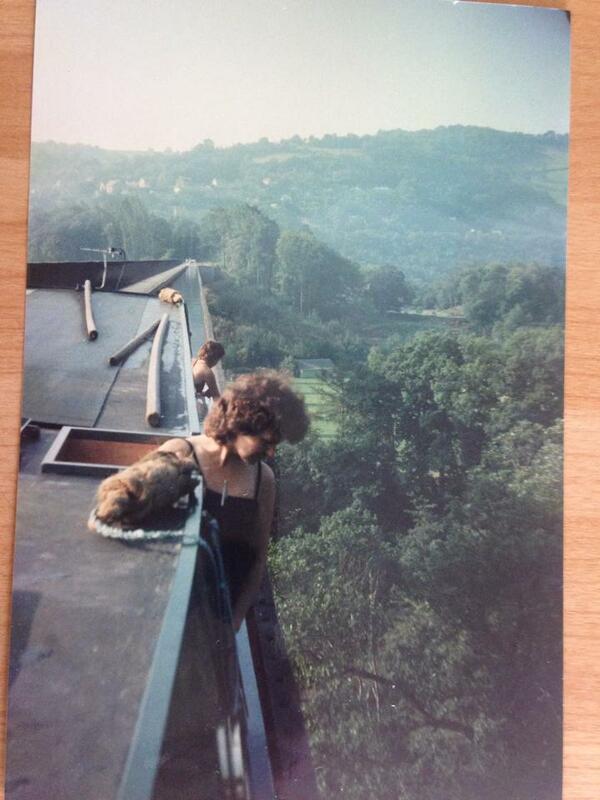 We don’t know who the women in the photograph are yet, although Mike is working on finding out more. We are sure that the notes he took are correct and that the boat behind Ash is definitely Willow, because you can see the end of the W on the cabin, and also because Willow has a very large dent in the cant which is evident in this photo! So which other boats went north during the war? Our source who has been looking at the Health Inspection records for us has identified a few gaps: In 1942 Ash and Pine are missing, in 1943 Elm, Fir and Willow are missing, in 1944 Ash and Elm are missing and in 1945 Ash, Beech and Pine were missing. It may be that these were the boats which went to work for FMC, or it may be that the Gloucester Inspector simply did not inspect them. 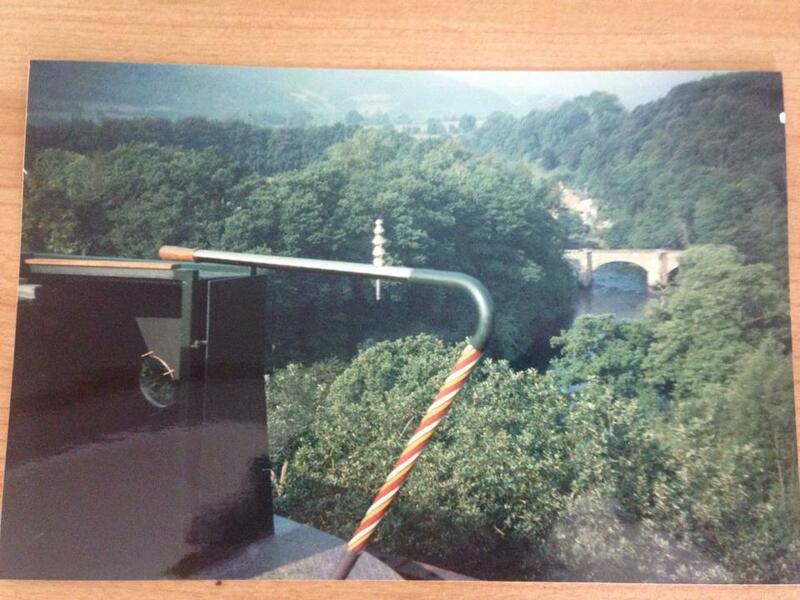 But the dates of Willow’s gaps in the register tie up with the date on the photo. We’re tremendously excited by this, not only because it is always amazing to find photos of your boat’s past, but also because Willow was part of the “Idle Women” story, and it’s a fascinating one. We have such admiration for these women who mostly came from middle class backgrounds and had a hard time being accepted by the working boatmen and women, but worked hard and were eventually respected for what they did. Several books have been written by the trainees who worked on the Grand Union, bad sadly none of the northern girls have written memoirs. None the less, we are sure there is more to be found out about these girls and the Severners’ involvement. It also means that if we ever get Willow to Stoke Bruerne for the Village at War weekend, I know exactly what my costume will be! Yesterday I received a very exciting email, from a chap who works at the Gloucester Waterways Museum. 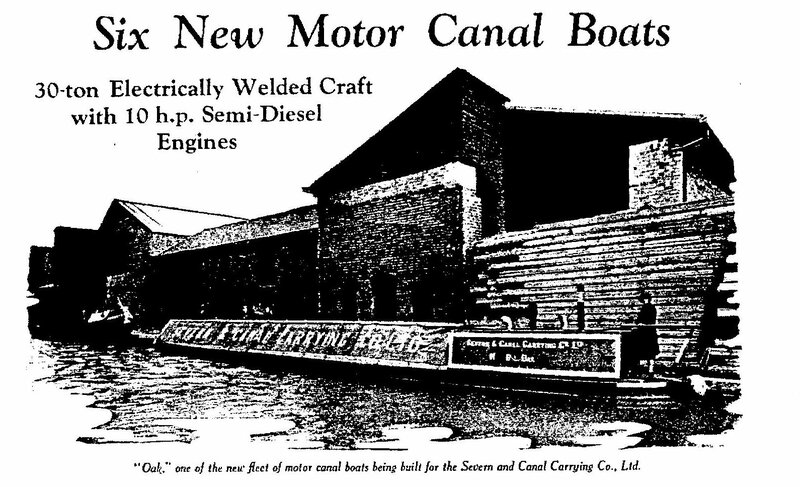 It contained copies of an article from Motor Boat magazine in January 1935, hailing Willow and the other Severners as modern, innovative boats, and containing some general arrangement drawings. They’re not brilliant quality but we’ll be able to see the originals at the museum. It seems that these drawings were used by Warwickshire Fly when they restored Oak in the 1990s. “All eight boats are of the same type, being 72ft in length and with a maximum beam of 7ft. The limiting dimensions do not allow much scope in design. The Introduction of electric welding, however, has permitted the construction of a hull of exceptional cubic capacity, with the result that these boats carry 30 tons of cargo on a loaded draught of 3ft 6ins and 33 tons on a draught of 3ft 9ins. This is a distinct improvement on the old type of wooden boat, which was only able to carry about 25 tons on a smaller draught. The sides and superstructure, also the frames and knees are made of Hingley’s “Netherton” iron, known for its non-corrosive qualities and long life. 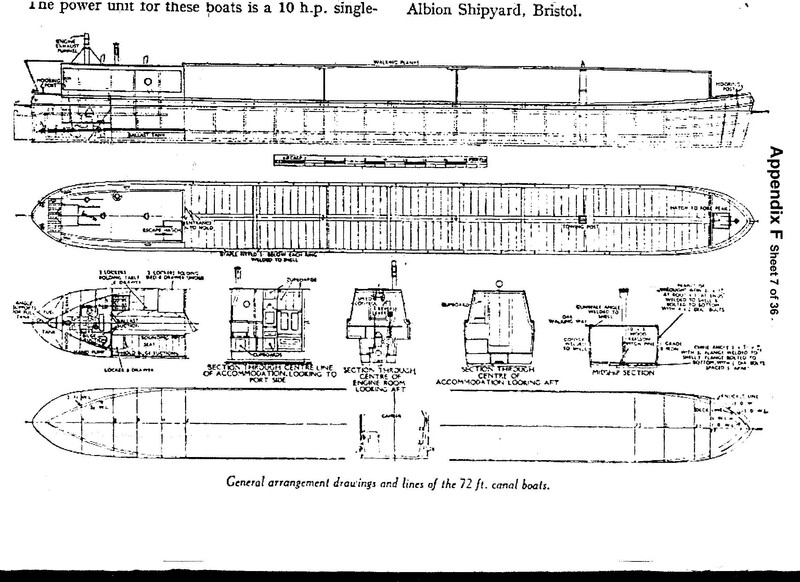 We hope that we’ll be able to find even more detailed drawings in the County Archives, but these are still very interesting, as is the magazine’s description of the boats’ innovations. The bit about ventilation disagrees entirely with contemporary accounts of living in these cabins. as they were found to be very stuff and difficult to keep ventilated. We didn’t know that they had opening portholes, so we’ll try to get some installed to replace the deadlights the boat currently has in the cabin. A bit of digging and asking around has brought to light a few more details about Willow‘s working life both with Severn and Canal, and afterwards. We now know that it didn’t work for Fellows Morton & Clayton so it was never a josher! 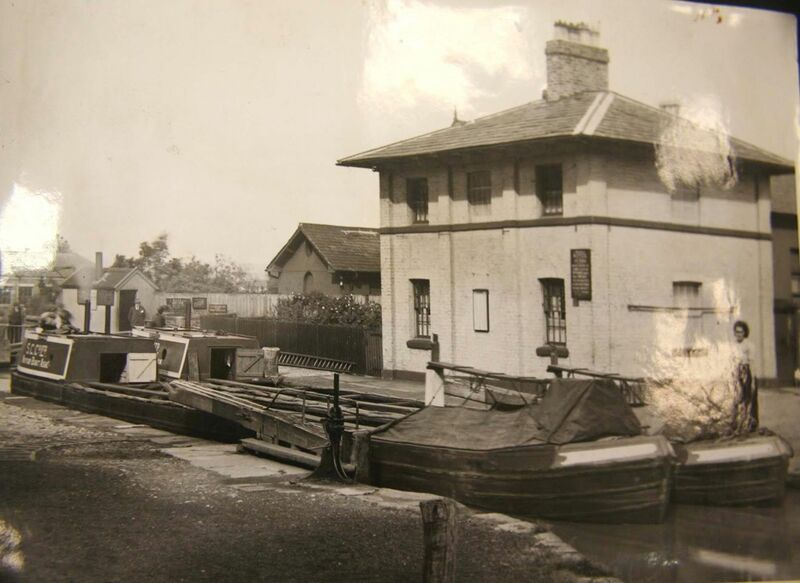 As part of the Canal Boat Act, all boats which were used as dwellings had to be registered as such with the local authority under the name of their owner. Willow was first registered on 18th February 1935, soon after it was built, with Walter Tonks registered at the steerer. Under the same Act, boats could also be subject to random checks, to make sure that they were still complying. 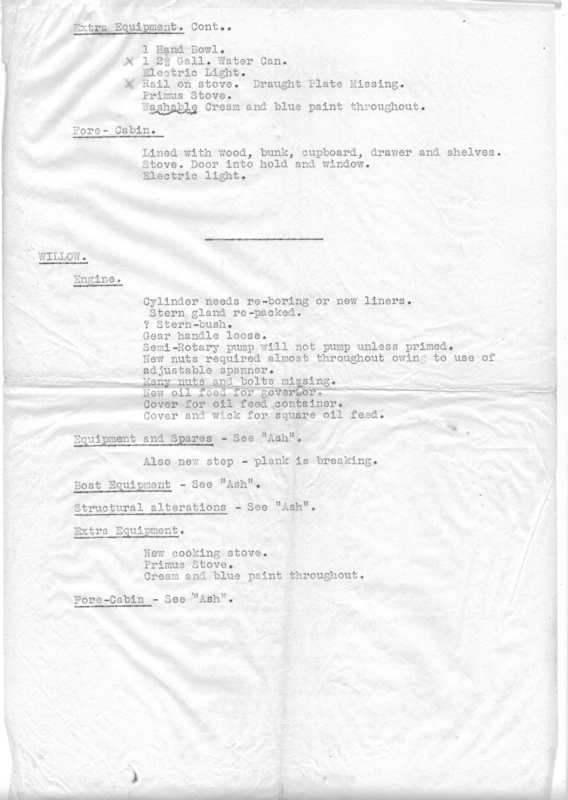 We’ve been supplied with information showing that Willow was inspected 33 times by the Gloucester Sanitary Inspector, with various names being listed as steerer, and the last inspection being in June 1949. Prior to seeing this, we knew that some of the Severners were leased to work for Fellows Morton and Clayton up in the north and wondered if Willow was one of them, but this new evidence shows that Willow remained in the south west working on the Severn until 1950, so it wan’t one of the Severners which was temporarily a Josher! 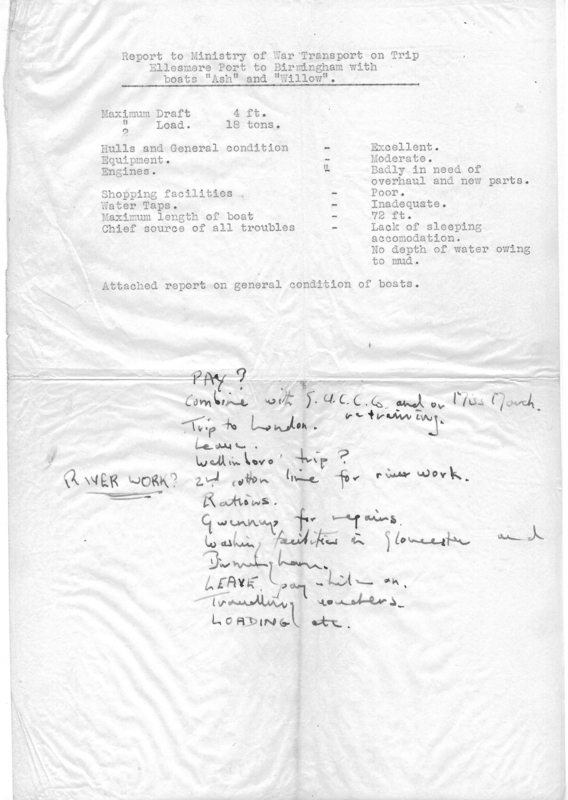 We now also know that Willow passed into the nationalised fleet of boats owned by the British Transport Commission (Docks & Inland Waterways Executive) – British Waterways’ predecessor – on the 1st October 1948. At this point, its health registration should have been transferred to the D&IWE but for reasons unknown, it took until February 1950 for this to happen, and it was still in Gloucester when it was re-registered. So it was after 1950 that Willow was transferred to the D&IWE North Western (Southern) Division, which was based in Northwich. 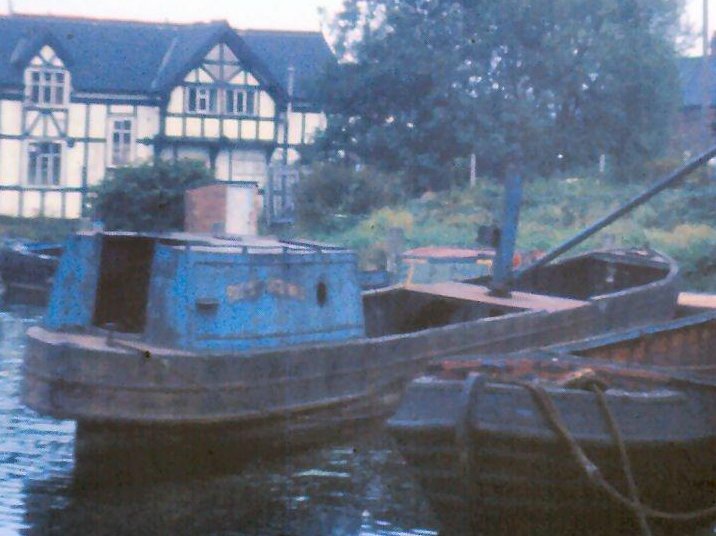 We don’t yet know whether it carried for a while first, but at some point, it became a British Waterways maintenance boat, and had the crane fitted in its hold which was still evident when it was photographed at Hayhurst Yard in the mid 70s. Other boats which were part of the North West Maintenance fleet include the famous steamer President, as well as our friends’ boat Ariel (now a coal boat) and Shad, one of the boats on display at the National Waterways Museum at Ellesmere Port. Close up of Willow at Northwich. So the next steps for us are to go to Gloucester where we’ll hopefully be able to find out more about Willow‘s design from the drawings in the archive, and perhaps its cargos. We’ll also be allowed into the hold of Oak, as long as we sign a form saying that it is at our own risk! 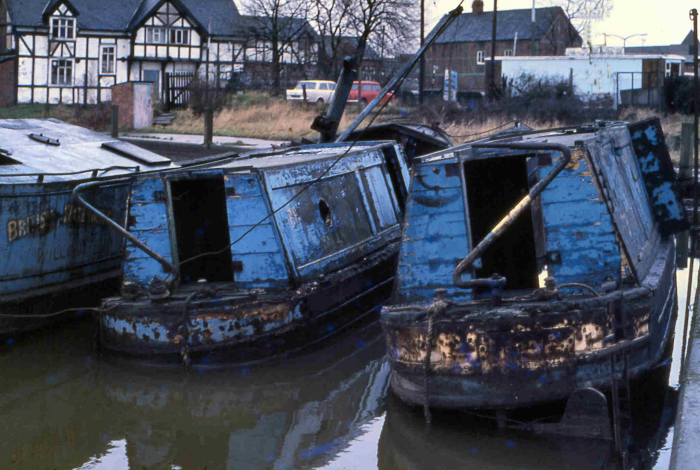 Then at some point, we hope to visit Ellesmere Port, where the National Waterways Archives are held, in the hope that we can find out more about Willow‘s life as a BW maintenance boat. We’ve always said that one of the things we’d enjoy most about historic boat ownership would be the research aspect. And although it has been sidelined recently due to actual work on Willow, we’ve now got to a point with the fitout where although there is still loads to do, we can take a bit of a breather and get stuck in to the research. We’ve decided to try and find out everything we can about all eight of the Charles Hill Severners. This is partly because if we focused solely on research into Willow‘s history, we’d probably not find all that much, but also because they are unique and interesting boats and we’d like to know more about them. We’ve been given a great head start by Willow‘s previous owner, and we have a basic idea of the history and location of seven of the eight. But we think that there is more to be found. What we know about Willow is here. Pictures: L Hogg (with permission). Willow at Hayhurst Yard, Northwich. These are the only photos we have so far of Willow, prior to purchase by the previous owner (Willow is the boat with the crane in the hold). 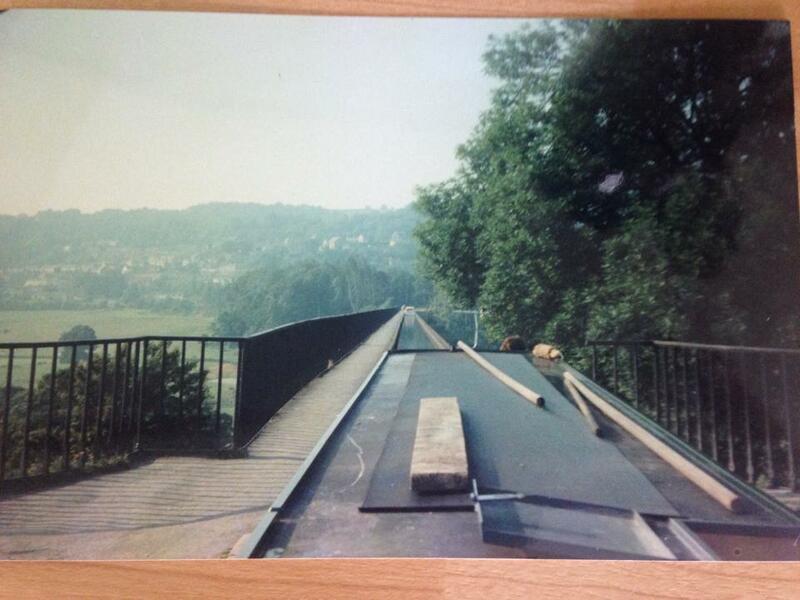 I have been in touch with the Railway and Canal Historical Society who hold a fair few photos of Severn and Canal Carrying craft, so there’s a chance that there may be more. Additionally we are planning a trip to Gloucester in October, to the Waterways Museum where Willow‘s older sister Oak is currently deteriorating. We may be allowed in to see the boat, but I expect it will be depressing. More promisingly, the County Archives in Gloucester hold Charles Hill’s drawings of the Severners, as well as records of all ships passing through the Gloucester docks, which will include details of Willow, its crew and cargos. 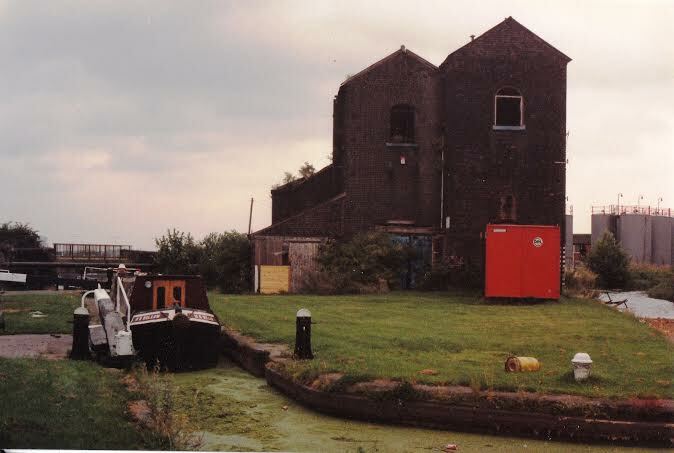 The majority of the waterways archive once held at the Gloucester Waterways Museum is now at Ellesmere Port, but from what I gather, most of the Severn and Canal Carrying archive has always been held by the County, not BW/C&RT. My third line of enquiry is via Cadbury’s, who used Willow and the other Severners to transport goods to and from their factories. I am hoping that they may have some photos/records of the boats in their company archive. So far, it’s been really enjoyable, this boat detective work, and if anyone has any idea about who/where to go next, do let us know!